For permanent installation and ease of maintenance, a guide rail mounting arrangement is available. 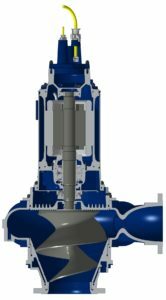 Twin guide rails ensure the submersible pump is guided to the discharge elbow and correctly locks in position to give a leak-free connection. 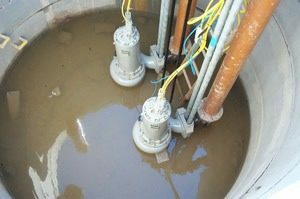 Free standing submersible pumps are available for applications where a permanent guide rail system is inappropriate, or a temporary arrangement is required. Hidrostal motors are TENV Factory Mutual (FM) Approved explosion proof for Class 1, Division 1, Groups C & D Hazardous Locations.